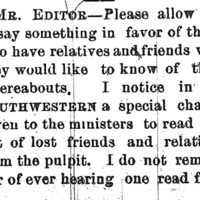 Lewis Hardeman commenting on the calls for ministers to share ads. 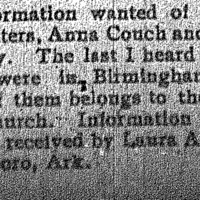 He says that in his travels to various churches, he has not heard these ads read at all. 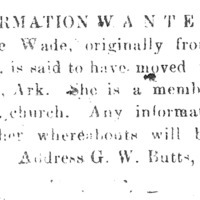 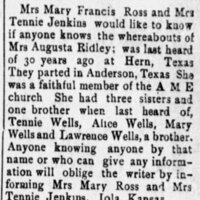 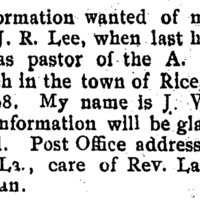 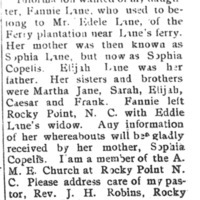 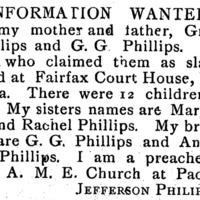 Jefferson Phillips seeking information of his mother and father, Grace and G. G.
G. W. Butts seeking information on Charlotte Wade. 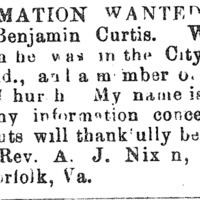 Barbara Reid seeking information of her brother Benjamin Curtis. 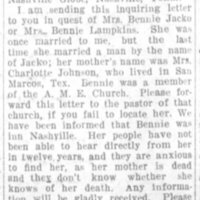 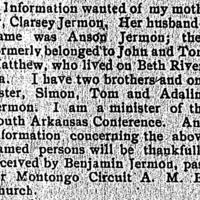 Benjamin Jermon seeking information on his mother Clarsey Jermon.